Certain hotels are an experience in themselves. Hôtel Palafitte, on the shores of Lake Neuchâtel in Switzerland, is one such place. This is not your typical European-style accommodation, as it is the only hotel in Europe with rooms built on stilts above the water. While the city of Neuchâtel is only minutes away, it seems to fade into the background once you arrive. It is a complete and instant change of scenery. The relaxed modern architecture amidst the beach-like landscaping creates an island feel. The outstanding location, first-class service, and superb design make for a fun and fabulous family getaway. The guest rooms at Hôtel Palafitte, or pavilions, as they are called, combine the best technology (home automation is a reality here) with stylish design. The architecture has been carefully designed to enhance the breathtaking views from any point in the rooms. Each of the 24 pavilions along the shore has an individual bedroom and a bathroom with movable partitions that allow a view onto the lake from the whirlpool bathtub. All have large terraces on the water. Some pavilions have direct access to the lake through a small private terrace ladder. This was off the charts on the “cool factor” scale for my kids, though the desk that turned into a bed was a close second. The peach gazpacho is as unique as the Palafitte! La Table de Palafitte is fine dining in a relaxed environment, serving creative dishes that use local products. The breakfast buffet is not to be missed. They do not have a kids’ menu at lunch and dinner, but children can choose options from the more kid-friendly bar menu. La Terrasse (the terrace of La Table restaurant), where you can enjoy the chef’s seasonal dishes from May to September, is like a trip to the islands. We liked La Terrasse so much that we ate every meal here during our stay. There’s something comforting about sitting at your favorite table in your favorite restaurant, and it’s even more special when the staff knows to seat you at “your” table! The Neuchâtel area is also home to many vineyards. Parents who are white-wine drinkers must try the local wine called Chasselas. Kayaks and paddle boards are free. Families can enjoy free use of paddle boards and kayaks. The water is surprisingly warm and we did not mind not having a pool. From the hotel grounds, guests can also access a lovely lakeside esplanade that goes by the Lathénium Museum. Kids enjoy climbing on the life-size elephants at the museum’s playground. The esplanade continues in one direction past a marina, a few family-friendly restaurants and another playground, and to the city center in the other direction. The property is centrally located, just one hour and 15 minutes from Geneva and one hour and 30 minutes from Zurich. Families can enjoy day trips to one of the two cheese factories in Gruyéres to see how cheese is made. We went to La Maison du Gruyere, as they also have a museum and do not require a reservation. Medieval Gruyéres is a quintessential Swiss village. Many say the best fondue in all of Switzerland can be had here. Families with chocoholics will want to visit the Nestlé factory in Broc, which is just a few minutes outside of Gruyéres. Be forewarned, the queue can be very lengthy in the high summer season. Hôtel Palafitte was originally built for the Swiss National Exhibition in 2002. Today it is linked to two other exceptional establishments in Switzerland, the Beau-Rivage Palace and its sister property, the Angleterre & Residence, both in Lausanne. Hôtel Palafitte adopts the same meticulous approach to service as its illustrious partner properties, but retains its own extraordinary character. Need Help Booking a Room at Hôtel Palafitte or Planning a Trip to Switzerland with Kids? 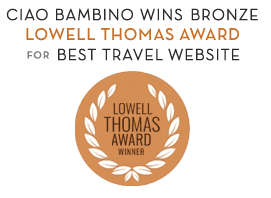 Ciao Bambino’s Family Vacation Consultants can help with everything from booking accommodations to crafting a full itinerary including guides and activities. Request assistance on My Trip Planner. Editor’s Note: Sandy was hosted by Hôtel Palafitte to review the property for Ciao Bambino. As always, our opinions are our own. Photos by Sandy Pappas, except where noted.